Kombucha is a naturally fermented tea made with a live culture called a scobie. The scobie eats up all the sugar and produces a naturally probiotic, sparkling tea beverage. We carry 4 flavours, Ginger, Original, Raspberry and Elderflower, and Will Berry. 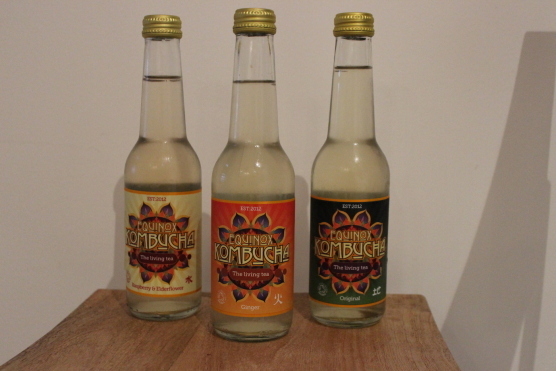 Come on in and pick up a bottle of the refreshing, gut balancing bottle!